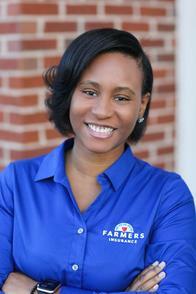 As a long time resident of Georgia, I am proud to serve the Suwanee area as your local Farmers® agent. I help customers like you identify the insurance coverage that best fits your needs. This process is straightforward and personalized to help make you smarter about insurance. Having been in the insurance industry for over 3 years, I have the knowledge and experience to help you better understand your coverage options--whether that's auto, home, renters, business insurance and more. Give me a call at (770) 212-9089 and I'll be happy to answer any questions you might have. Greg & Morgan did a wonderful job!! I look forward to sharing a long and mutual beneficial relationship. Greg is very responsive and does an amazing job making sure we understand exactly what is in our policies. They also have incredible rates. Highly recommend him and his team! My experience with personnel at Farmers Insurance has always been very positive. Always receive prompt, friendly and informative responses. Very satisfied with my service! The Albrights have been the best agents I have every had. They always follow up and help. Saved us money on our homeowner's insurance and has taken great care of us and our needs. Greg is professional, nice, polite, and saved me a lot of money!!! All traits that I hold in high standards. We had the pleasure of meeting Greg at the recent home show in Duluth, Ga. I had been looking to combine our auto and homeowners insurance to one company so Greg took our information and contacted us with his quote. He answered all my many questions and assured me he will be there when we need him. That was reassuring and after looking over his quotes on the combined policies, we were getting better coverage on both home and auto at a very reasonable cost. So glad we went to the home show. Thank you Morgan and Greg. Upon speaking with Mr. Albright, I felt comfortable and taken care of. He was very personable and listened to my needs and with his team, gained by business. He is very good at his job and has made it a joy to become part of his community. Professional, timely, and honest. No surprises and he did exactly what he said he would do! I worked with Morgan when I had a last minute need to change insurance companies. He made it quick and easy and gave me good rates. Great customer service. Exceeded my expectations. Referred to us by our lender regarding homeowners insurance. Explained the policy and only offered what was needed. Service was so great we decided to change our auto insurance as well which caused us to have even bigger savings! Job well done Gregory Albright! I'll make sure to spread your name so you can help others as well! It was very easy working with Morgan and she was very responsive. Greg & Morgan are great!!! I met Greg at the Home Show in Atlanta. 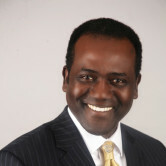 He was very professional and provided me with the insurance coverage for my home and vehicles that meet my needs. Greg totally met my expectations and it is a pleasure doing business with him. I have just taken out home and auto policies and are not yet in effect. I do apreciate the fair price and complete coverage offered to by Greg Stewart.